You don’t have to be a hipster to appreciate art. (Or an artist, for that matter). Art brings intention, design, personality, and inspiration into any space. You feel it when you walk in. And while family photos provide personal touches throughout your home, balancing them with pieces of thrifted art (art with a story) offers both a sense of self-expression and a hint of sophistication…and not in a pretentious way. Too many homes lack actual art. We’re all drawn to beauty, so why not intentionally infuse our intimate spaces with bits of just that? With a little help and at little cost, we can collect pieces that easily transform our homes into curated shelters of inspiration at every corner! Cue iconic Charles White’s “Express Yourself…” No matter your style – be it Industrial, Bohemian, Modern, Vintage, Rustic, Traditional, or Eclectic – thrifted pieces have a home inside your home. The trick is to tailor each piece to your own specific style! Most of us identify with a combination of these genres of design, but the important thing to remember here is that once your style is defined, you’ll want to thread the same, consistent artistic expression throughout that little nest of yours. 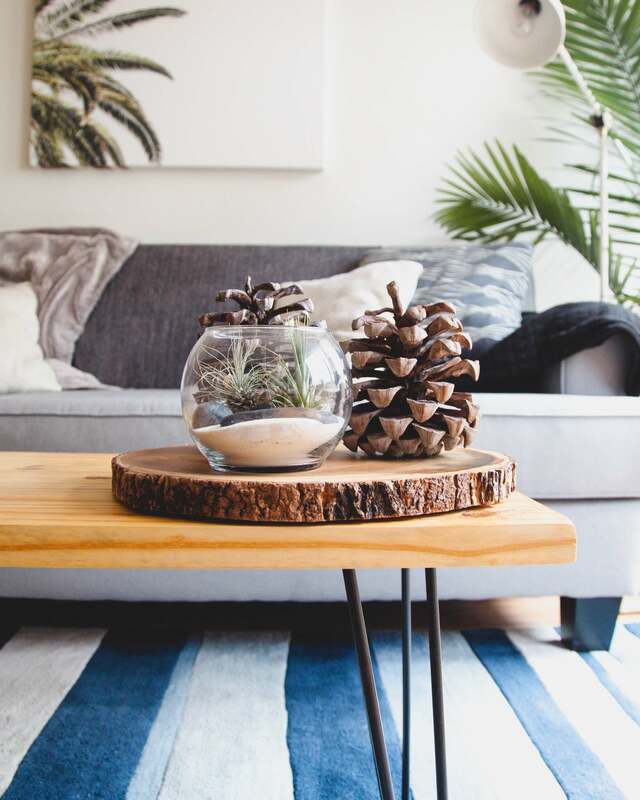 For example, if you’ve got a flare for the Bohemian look, you may be on the hunt for art that has woven textures, geometric shapes or natural elements like wood or botanicals. If you’re more of a contemporary or modern-type, look for clean lines, negative space, and unusual, dramatic shapes. Dig in a little deeper to each of these different styles, and have fun choosing the right one for you! Whether a framed painting or print, a sculpture, a vase or a conversation piece (think antique fans, vintage radios, or hand-painted plates) we recommend picking pieces you personally find interesting and beautiful, pieces that tell a story, pieces that fit your specific style. Remember that tying in repeated shapes and colors within a room creates harmony as well, so it’s good to think about the placement of the item before you make the purchase! 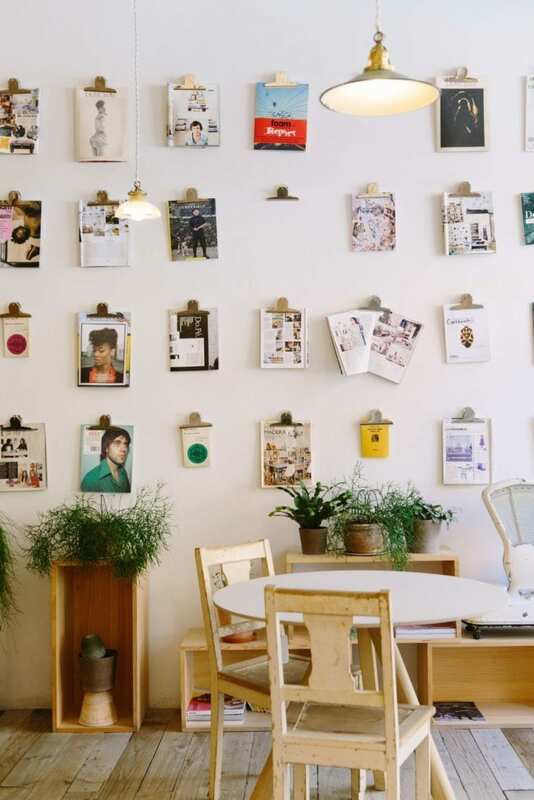 We love the idea of collage or gallery walls, and they’re not too difficult to pull together! Find pieces of art that speak most to you and arrange them in a thoughtful design. Here’s a great gallery wall tutorial and a few different examples we like! No need to agonize over the math here. If comfortable, simply lay out the arrangement on the floor first, then eyeball it and adjust from there. You may have to swap pieces out once you see them on the wall, but trial and error is your best friend! Feel free to use an assortment of squares, rectangles, ovals and circles in your gallery for added visual interest, so long as you are drawing from shapes and colors that appear elsewhere in the room to keep things harmonious. Keep thrifted artwork as is, or use upcycling as a nifty way to tailor pieces to your own design style. Either repaint the frames to give them a little facelift, or reframe for a fresh, modern, matted look. Another option for framed art is to keep the print, but add your own flare! We also love how this designer infused two antique pieces to create a statement piece in their bathroom! You can make an old mirror into a corkboard or chalkboard, paint a old vase, or give a dated wooden tray a makeover! Even a windmill wheel can become a piece of farmhouse art with a little repurposing! 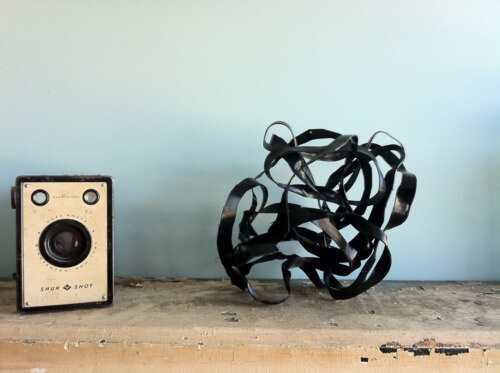 For more creative ideas, here’s a blog on 10 Amazing Upcycled Thrift Store Art – some ingenious gift ideas in there too! 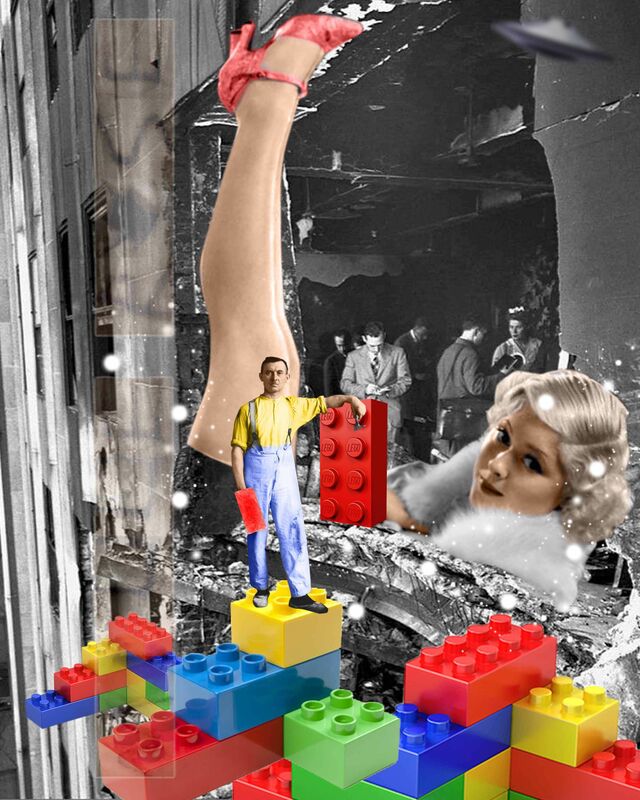 Some art is weird, and we’re OK with that. All weirdness aside though, obscure objects like antlers, old fans, hats hanging on walls and typewriters on shelves are other thrifty ways to intermingle organic shapes and statement pieces into your decor. (Check out this cool, eclectic space!) All thrifted objects come from somewhere else. They’re artifacts that will inspire your house guests (and you) as soon as your threshold is crossed. Each of these artful, repurposed items illustrate a narrative in their space – not just their own story, but yours, too. Give them space to breathe, and be careful not to let things evolve into clutter (see our blog on Tidying Up)! Your collection of art is an extension of what gives you peace and enjoyment, what you find to be beautiful. Your home has gone without love long enough. Stop neglecting those vacant countertops on your vanity, and start sprucing up those living room walls, those haphazard bookshelves in your bedroom. Better yet, send us your #shelfies of uniquely thrifted art, and we’ll repost on all our socials! We can’t wait to see your inner-hipster shine.